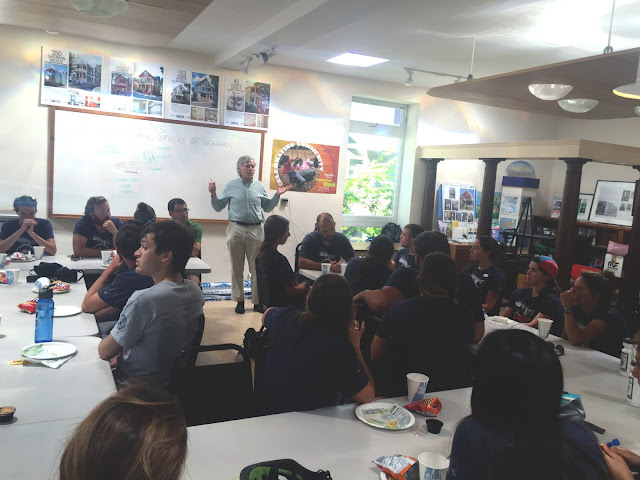 On June 24th the CB&O team at NHS hosted 28 participants of the 2015 Coastal Drift bike tour, one of several programs organized by Bike & Build. This was the second team to come through New Haven this year, and third in the last two years. Arrangements were made so that these groups of 18-25 year olds could spend a day volunteering in our local communities, while discussing affordable housing issues. 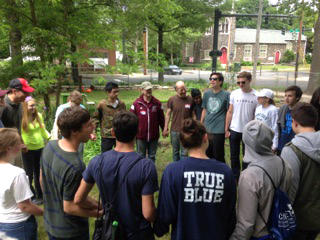 This large group of volunteers spent time at four different sites, working in a community garden and other green-spaces. 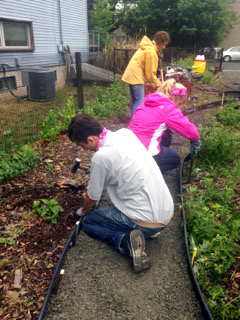 At the Stevens Street Community Garden, five volunteers were led by two VISTA members. 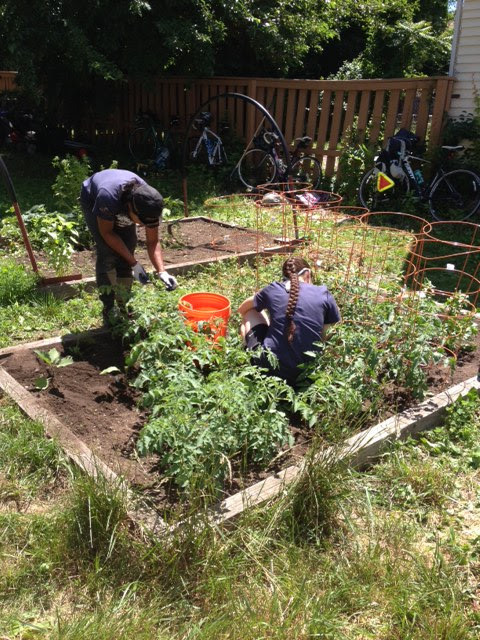 They cleared overgrown weeds from the back half of the lot, weeded through raised garden beds, planted tomato plants and flowers, provided water, and turned compost piles. This group had the chance to work alongside two young residents who live next door to the garden making the day not only a productive one, but a fun one as well! 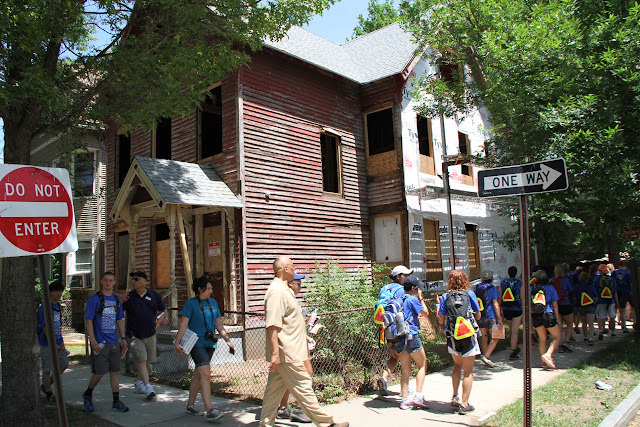 A second group of volunteers took to West Division Street. 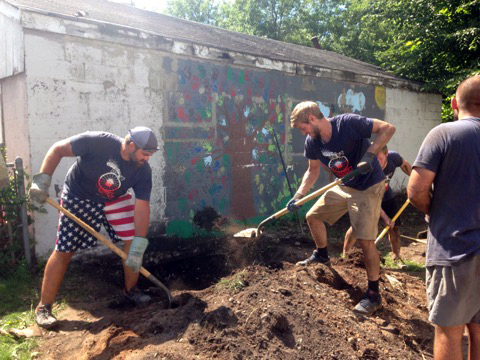 There the group cleared away litter and debris from the sidewalks, weeded through some of the grassy spots, laid out mulch around bushes at the edge of a vacant lot, provided water to plants in need, and worked with residents to help the maintenance of a few front yard spaces. What a difference that was made once the day was through! 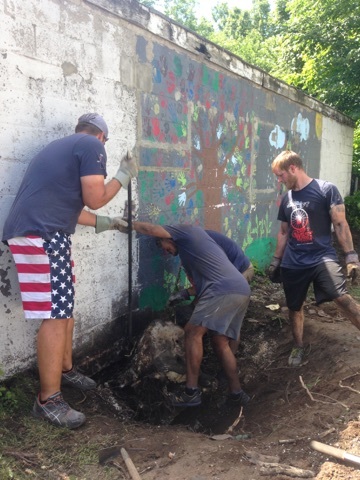 Over on the Farmington Canal Trail in the Newhallville section, seven Bike & Build volunteers worked on the difficult task of removing three large tree stumps from the side of a garage. The wall of the garage currently hosts a weathered mural that will soon be replaced by one that has been designed by local artist, Kwadwo Adae. Kwadwo has been working closely with our VISTA team to begin executing this community art piece. 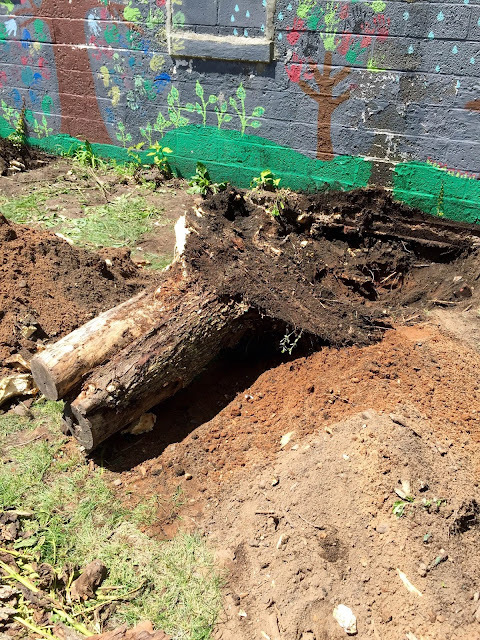 In order to continue this effort, the stumps needed to be removed for access. This task proved to be an incredible challenge- one stump took nearly five hours to extract from the ground! Lucky for us, these Bike & Build volunteers were up for the challenge. They worked with impressive energy and dedication to get the job done. It was hard for us to believe they had just travelled 180 miles on bike within the two days prior! Lastly, our fourth group of volunteers contributed to two projects. In the morning they, too, had a chance to experience the Farmington Canal Greenway, helping to spruce it up for trail users. The team weeded, mulched trees, and displayed their creative design talents with some pleasing landscaping improvements along the sidewalk on Shelton Avenue. In the afternoon, this group spent time in the NHS Landscape Demonstration Garden. Led by Kathy, our Manager of the Home Improvement and Energy Conservation Lab, the group spread out stones and gravel to develop a walking path through the garden. We were impressed with the positive energy and honest commitment this group of volunteers exerted to the given tasks. We can’t thank you all enough for participating in this opportunity to work in New Haven’s neighborhoods! Every June, NeighborWorks® America and its national network of nonprofits mobilizes tens of thousands of volunteers, business people, neighbors, friends, and local and national elected and civic leaders in a week of neighborhood change and awareness known as NeighborWorks® Week. Since 1986, NeighborWorks® Week has been an annual, national celebration of neighborhood pride and unity among organizations in more than 4,414 urban, suburban, and rural communities across the country. NeighborWorks® Week celebrates the efforts of local organizations working with partners and volunteers to create healthier, more vibrant communities. 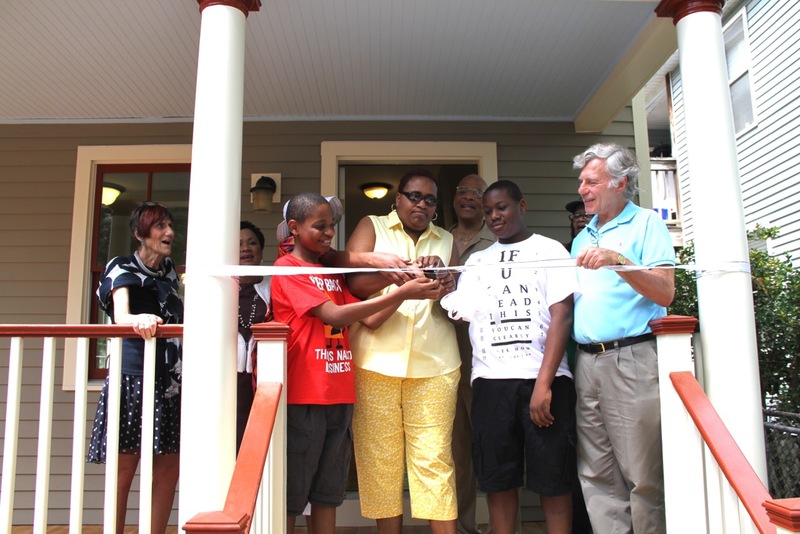 This year, NHS of New Haven celebrated NeighborWorks® Week on Saturday, June 13, in Newhallville! We worked alongside residents to host some amazing volunteers from American Baptist Church, Bike & Build, the Ivy Street Community Garden, and NHS staff. 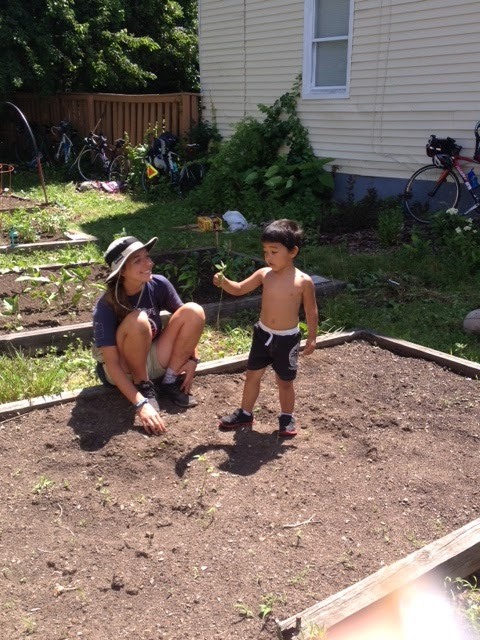 We were particularly excited to host volunteers from Bike & Build. 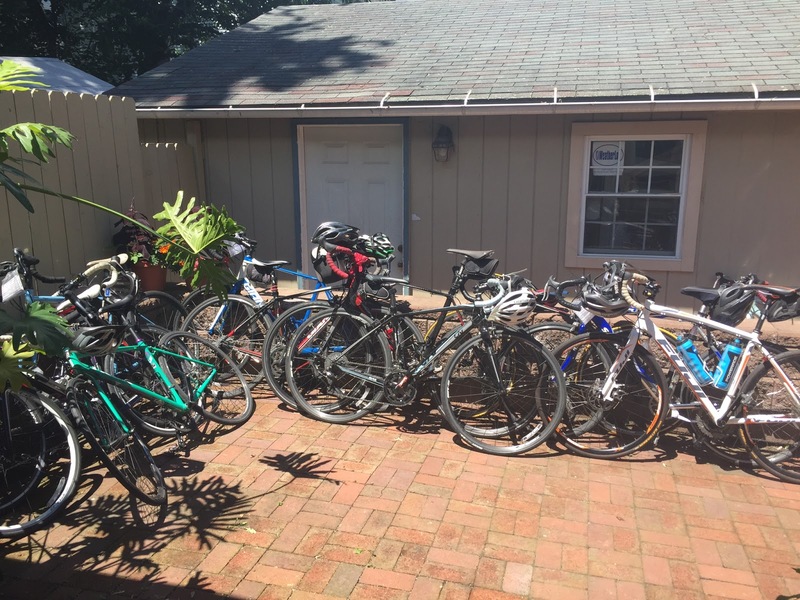 Bike & Build organizes cross-country bicycle trips which benefit affordable housing groups. In addition to raising funds for affordable housing projects, Bike & Build garners media and community attention for the affordable housing cause. 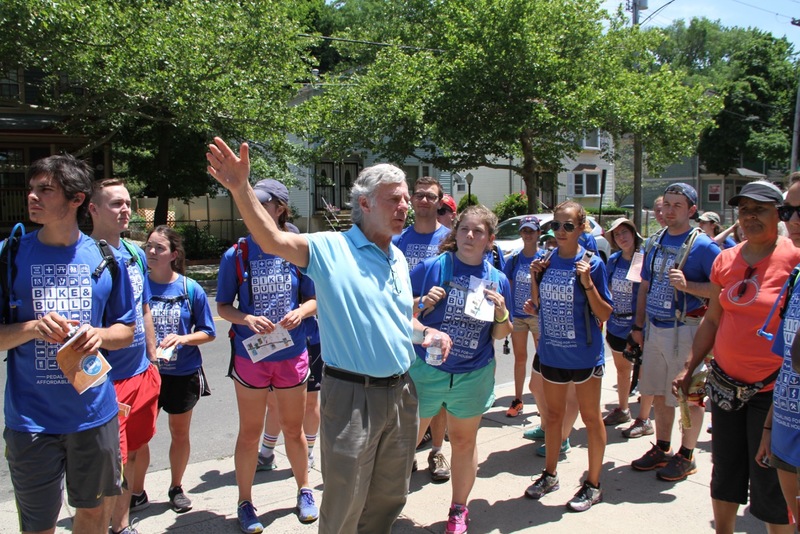 Bike & Build fosters leadership and lifelong philanthropic service in its participants. This is Neighborhood Housing Services of New Haven’s second year hosting volunteers from Bike & Build, who started their adventure in New Haven before biking across the country to Half Moon Bay, California. 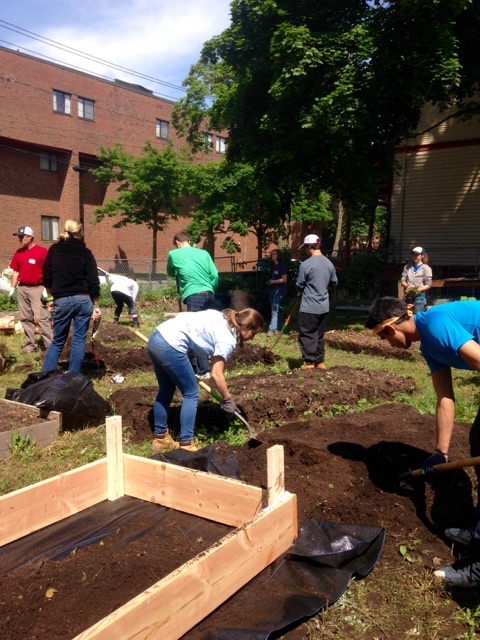 Volunteers worked on landscaping, gardening, community clean-up, and community beautification projects before coming together for a cook-out lunch in the Ivy Street Community Garden. After lunch, NHS Executive Director led volunteers on a tour of Newhallville, focusing on NHS' recently renovated projects. The walking tour concluded on Lilac Street, where several new NHS homebuyers gathered for open houses and a ribbon cutting ceremony. Special guests included New Haven's Mayor Toni Harp, and Congresswoman Rosa DeLauro. The day was a wonderful representation of all of the positive activities taking place in Newhallville. We were happy to share a productive day with volunteers, residents, homebuyers, and elected officials! 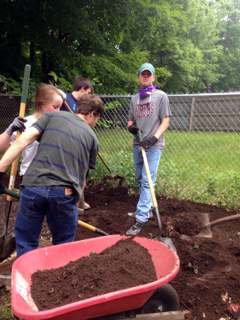 On Monday, June 1 in the NHS Demonstration Garden, the Hopkins’ volunteer week started off with a lot of hard work and manual labor. Despite the steady drizzle and unseasonably cold temperatures, about fifteen students worked diligently in the garden all day, and completed some serious landscaping! Three new shrubs were planted near the entrance of the garden, hosta plants were harvested from where they had sprung up along the southern fence, and a pile of refuse wood was broken down and removed from the rear of the garden. 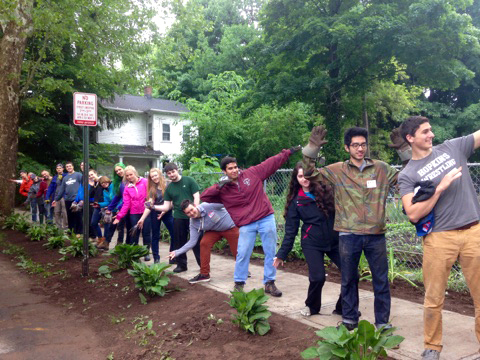 In the afternoon, two of the Hopkins teams hopped on the school bus to the Ivy Street garden. One enthusiastic crew dug out a deep trench along the rear fence of the garden, while others raked, weeded, and helped to organize materials inside the greenhouse. 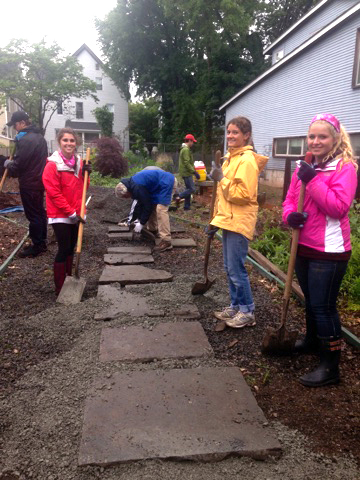 On Tuesday two Hopkins groups again took to the demonstration garden in the morning rain. This was another highly productive morning! One crew took on the laborious task of digging out the driveway and installing large stone slabs to make an attractive walkway. In the rear of the garden, another group layered cardboard to act as a weed guard over future planting areas which were then covered with leaf mold material. Finally, the remaining students diligently worked to install plastic edging around the planting areas, taking painstaking effort to shape the lining correctly. In the afternoon I took a small group of volunteers to sweep and pick up garbage along Shelton Avenue between the Ivy Street Garden and the Shelton Avenue Community Wall next to Cerda’s Market. At the wall, the group stopped to collect two very heavy stone blocks and carry them back to the garden entrance to be installed among the new hosta plants as stepping-stones. Meanwhile, a few students and a determined Hopkins teacher collaborated to devise a way to fix a small break in the greenhouse roof. On Wednesday I spent the entire work day with a Hopkins group at the Davenport Community Garden with the garden coordinator, Chris Prokop. 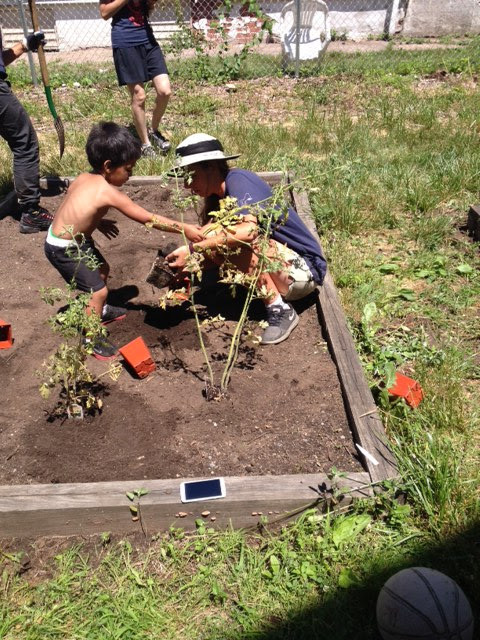 The change that the students implemented in this garden in just one day was incredible! In the morning, the garden was composed of six or seven raised beds that had definitely seen better days. Many wooden boards were deteriorating, some of the sideboards were warped and bulging outwards, and the beds were full of weeds. Furthermore, the beds had been installed some years ago in a crooked pattern that was visually interesting, but that made the task of mowing the grass very challenging for Chris! 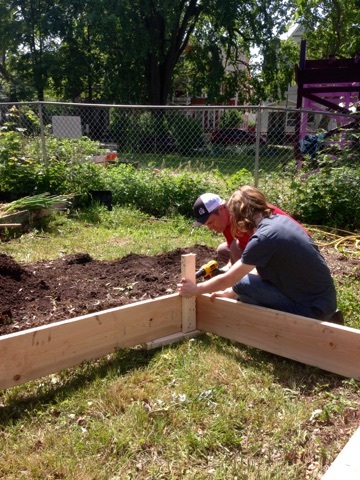 By the time the students ended work in the afternoon, ten brand new garden beds had been constructed on-site, placed in neat rows and filled with topsoil. The students even partially mulched the pathways with material that a neighborhood resident unexpectedly donated! The result was a dramatic visual change in the garden, and we hope that this workday marks the beginning of an exciting season for the Davenport Community Garden! 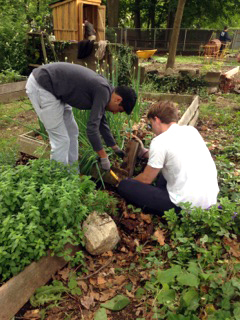 On Thursday I again accompanied two of the volunteer groups to Ivy Street. The students were only with us until noon, but they still managed to complete an impressive amount of work! 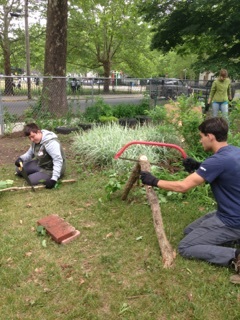 Some students used saws and loppers to prune trees and remove sturdy weeds, while many others cleared the garden areas of smaller weeds. Additionally, a group of students made fantastic progress with building up a new planting row along the garden’s south fence. The students worked with focus and enthusiasm right up until they boarded the school bus for the final time. 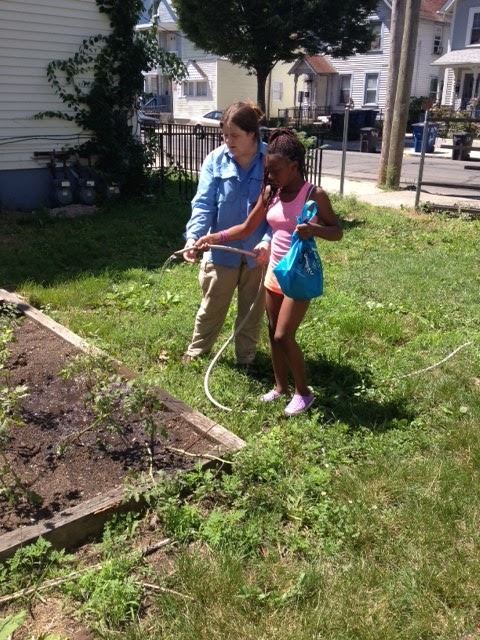 We appreciate the positive attitudes, dedication, and transformative contributions made by these students, to three of New Haven’s gardens! Great work Hopkins class of 2015- we wish you the best in your future endeavors!